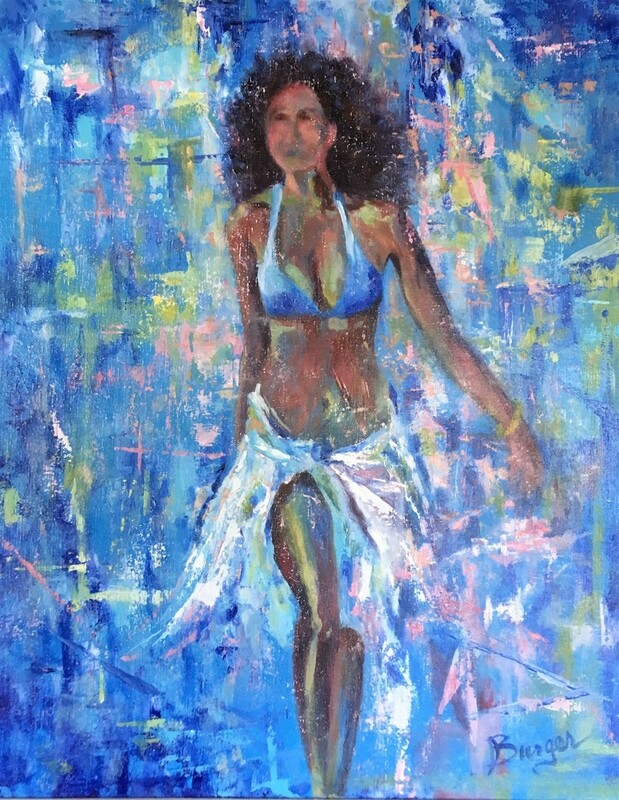 This 20"x16" abstract acrylic painting shows a woman walking in a carefree manner at the beach. She is free of all cares! It is painted on a stretched canvas, and comes with a lovely white wooden frame.